I have a problem with simple carbs. I love them. Bread, cereal, pasta, anything that falls in that category. Eating gluten-free helped a little bit but I quickly found gluten-free alternatives. My other problem is that I don’t generally enjoy eating fruit. I know it’s good for me, I like the taste I just don’t like the work in eating it. Call me lazy, but that is just how I feel. On Friday I bought a new mixer. It is more than a mixer. I splurged on a Vitamix. 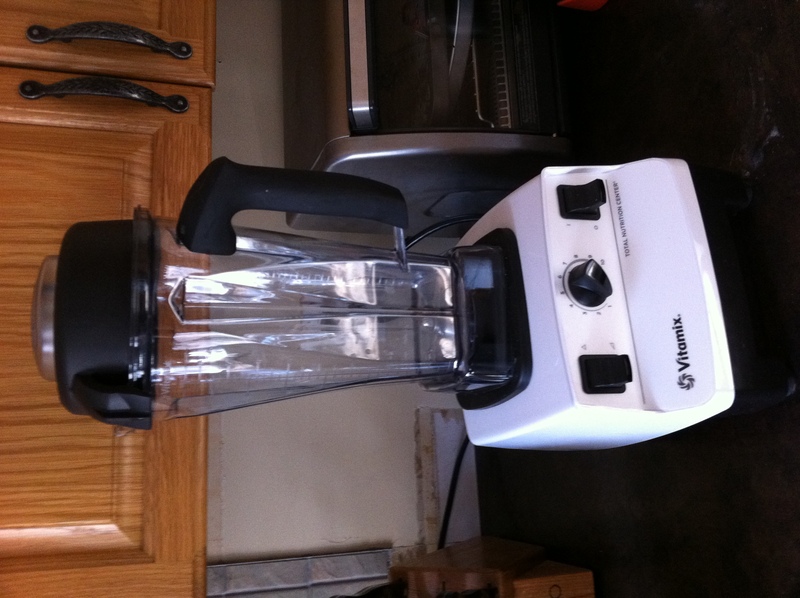 This thing is a powerhouse and it makes smoothies very quickly. My new plan is to make a fruit and yogurt smoothie each morning for breakfast. This morning a used milk, pineapple, an orange, ice cubes and a scoop of protein powder. It kept me satisfied until I got home from church. It makes a great breakfast for the kids also. I figure if I make one each morning for breakfast I will be on the right path to eating healthier.